Agustin Flowalistik is a graphic designer who accidentally got involved in 3D printing and now he plays a big part in 3D printing community. You can find his models on most of the STL sharing websites. He got famous after designing low poly Pokemon characters. Agustin had a big success with his creation even before the launch of Pokemon Go game. His flagman Pikachu has been downloaded tens of thousands of times on Thingiverse alone. Low-poly models are very popular because they are easy to print. Beginners in 3D printing realise that they can successfully print such fun items with any 3D printer. 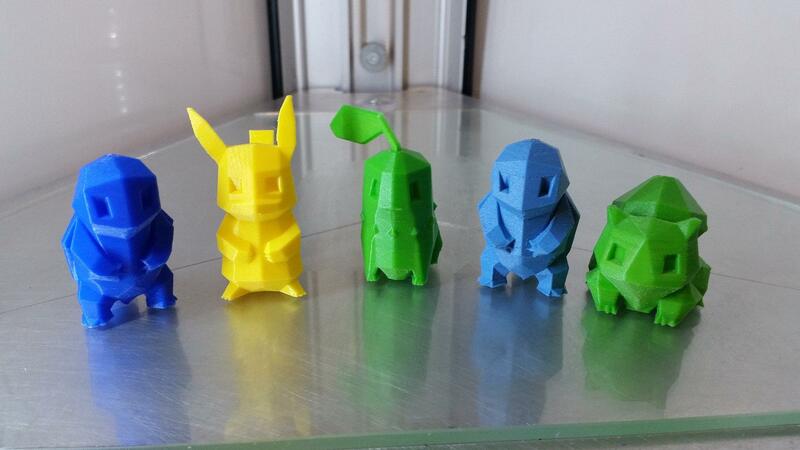 We have printed most of the Pokemon characters in different colours. Our friend’s kids were over the moon after we gave them the whole bunch. A similar collection of Pokemons has been created especially for multiple colour printing. This could be an interesting project for more advanced makers. Agustin has announced that his new designs will be first available exclusively on Patreon or other file sharing platform for initial three weeks. 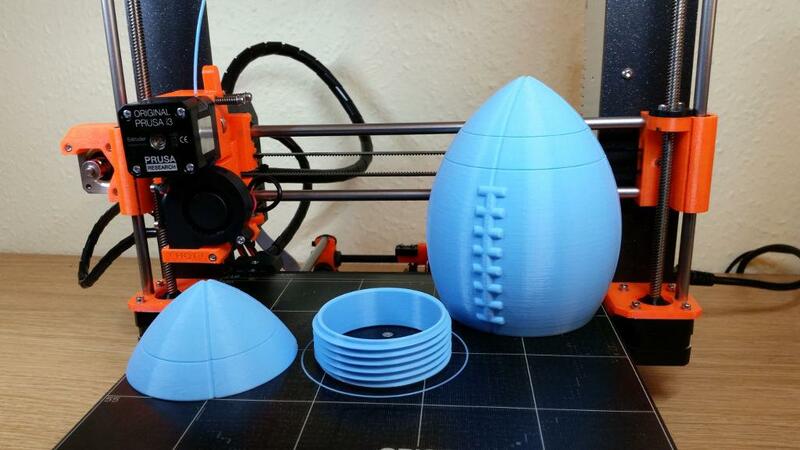 We got hold of an interesting model – an American Football on MakePrintable. It consists of three items that are easy to print and assemble. When it is all put together, the partition is not noticeable turning a football into a secret container. Additionally, Agustin Flowalistik started a YouTube channel where he demonstrates and explains his projects in detail. “Quill Burst” is one of such projects. He designed a unique and complex model with many parts that can be easily put together in five minutes. This was the entry for a 3D design competition organised by MyMiniFactory and Monster Huner. It was especially interesting to find out what software and techniques Agustin used while creating this model. Born in 1993 in Buenos Aires, Argentina. I grew up spending the afternoons playing with Lego and reading animal encyclopedias. I transformed the garden into my personal jungle and my biggest dream was to have a pet dinosaur. As a Design student in Madrid I focused on graphic design and 3D printing, starting to get interested in developing open projects where the community could participate. My goals are creating functional things, sharing them and trying to make something good for the planet.